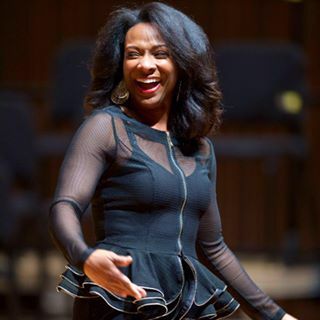 Candace Y. Johnson – soprano. master teacher. one-woman show. soprano. master teacher. one-woman show. Lyric coloratura, Candace Johnson, is a dynamic singing artist on the voice faculty of UC Berkeley’s music department. She is praised for her excellent vocal interpretation, fiery passion on stage, and her poignant spontaneous creations. In unique fashion, she melds her African American music heritage with her operatic training. Candace earned the doctorate of musical arts degree from the University of Michigan. She was awarded the prestigious Chancellor’s Postdoctoral Fellowship at UC Berkeley, where she expanded her research on African American composers and the art song literature of those composers. Her training has been under renowned artists such as the late Shirley Verrett, George Shirley, Willis Patterson, and Olly Wilson. See videos below.